Naturally, from reading my website regularly, you will soon begin to realise just how much I love the outdoors, and when and wherever possible, I endeavour to follow my passion, the love of the natural world and to actively encourage others to get outside and participate in the many different activities that can be found all around. It can involve any form of activity and it need not cost the earth. In fact, if you think about it, some activities will not cost anything at all. My goal is to encourage and motivate others to seek positive solutions to life's obstacles, in a meaningful and purposeful way. In a world of rapid change, busy people, living busy lives. Together with the influence of technology and the ongoing worries of obesity and sedentary lifestyles. I feel that it is incredibly important to seek a wholesome view on things and where possible find opportunities to provide an alternative form of entertainment and pleasure, to accompany our daily lives. So, to achieve my desired goal. I've decided to highlight a list of 50 different ideas that anyone can do, largely in the Great Outdoors, and with a strong emphasis focusing on children and their families. Together, with the children in my class of 8 & 9 year olds, we decided to put our knowledge and expertise to the test and dream up a definitive 'Bucket List' of ideas that naturally developed into a free fun list that actively motivates others to get outside, explore and enjoy. Together, as a collective group we began to dream up activities and exciting ideas about what we love to do and if we had the chance, could we then inspire others to give our list of ideas a go? In compiling the list, we had a great deal of fun and some of the ideas included on the outdoor bucket list eventually turned out to be fairly simple and self-explanatory, but others required a little more thought, planning time and effort to implement. In the end, we felt all of our suggestions should be achievable and a great deal of fun to participate in. After initial discussions and the sharing of ideas, we soon compiled a comprehensive list of 50 amazing ideas, that will allow all parents to keep their children entertained and inspired for a long time to come. 2. Roll down a hill. 3. Walk and run your hands through a field of long grass. 4. Paint a pattern on a stone and get someone to find it. 5. Camp out, under the stars. 6. Play Hide and Seek. 8. Produce some Nature Art, with natural materials. 9. Paint a picture of a landscape. 10. Photograph a perfect sunset or sunrise. 11. Enjoy a long bike ride. 12. Make music out of natural materials. 13. Paddle in the sea and jump over the waves. 14. Tell a story in the Great Outdoors, using materials as the characters. 15. Collect/find some plastic and recycle it into art. 16. Walk barefoot in the mud. 17. Play Noughts and Crosses out of sticks and stones. 20. Create a leaf collage. You can find more practical information in my book. 21. Make a MASSIVE daisy chain. 22. Make something from some sticks. 23. Create a weather station. 25. Camp out or in, if the weathers bad. 27. Ride a SUP (Stand Up Paddle). 28. Produce a Treasure Map. 29. Collect some cool stuff and bury it in a Time Capsule. 30. Learn to capture a great picture. 31. Make a tree house. 32. Lie on your back and watch the clouds. 33. Sit, listen and produce a Sound Postcard. 34. Make a Bug Hotel. 36. Climb a hill and admire the views. 37. Stand in a Forest and simply look up. 42. Play signs and symbols. You can buy my practical Education resources here. 44. Recognise flowers and fauna. 45. Listen to Bird song. 46. Pick some flowers for Mum. 47. Colour mix with natural materials. 48. Make a snow angel. 49. Have a snowball fight. 50. Splash in the rain. In writing this little piece, I really hope it serves as inspiration and motivates others to get into the outdoors and do something a little bit different. Of course, this kind of thing has been done a million times before, with the internet already being awash with 49 things to do in the woods or 34.5 things to do while out walking, but I just wanted to add my tuppence worth and explain my own ideas, from my point of view. In turn, I cannot provide all the answers and my 50 ideas will definitely not be the last word, on this particular subject. I personally feel that it is important to make the most of what you have, stop trying to buy things or want things you can’t always have and where possible seek opportunities whereby you can do something enjoyable and do it largely for free. I know that in my humble existence, I have always tried to utilise some of the above, by getting on with things, using my imagination and learning through play. I have always felt it creates a positive healthy mind, excitement and certainly helps shape an alternative view on the world. Something we should all be encouraging the youngsters in today’s world! 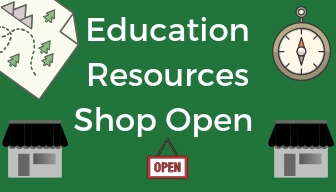 If you are looking for resources to use in the outdoors then I have many FREE educational resources for you to use. They are available here. I am also a Qualified Outdoor Education Practitioner / Adviser. If you require help and any advice on how to approach this particular area or to find out how we can work together then please get in touch. hello@garethmate.com or my ‘Work With Me’ page.